BEST PRICE AVAILABLE—$25 per book! A 28% discount for purchasing books by the dozen! 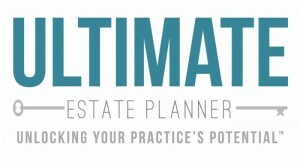 There are a number of really neat-features in this book; however, there are three particular benefits why every single estate planner should have this book. BENEFIT #1: A Client-Friendly “Script”. Because this book is written to be a client-friendly, plain-English, easy-read, this book is a great way to develop a “script” for estate planners to use in their client meetings to quickly, easily, and effectively explain the inherited IRA rules and processes. BENEFIT #2: Better Planning and Service to the Client. Estate planning advisors of all designations are always looking for a way to provide clients the best type of planning and this is one tool that can be given to clients to provide third-party authority and guidance in an area that many clients and their beneficiaries mess up all the time! BENEFIT #3: Develop a Client Succession Plan. Last, but not least, one of the best benefits about this book is that it’s a great way to create a form of Client Succession Planning. Many estate planners worry about losing business once a client and/or IRA owner passes away, but with this book, you have a way to get repeat business by opening up a conversation and developing a relationship with the client’s beneficiaries! You can purchase a single copy or order multiple copies (at a discount) to distribute to your clients, prospects, and referral sources! Anyone who wishes to leave an IRA or Roth IRA to loved ones must have Inheriting an IRA, by IRA maven Mike Jones, an expert among experts. Nothing is left to chance here. The advice, explanations and warnings in this book are worth a fortune to IRA owners, beneficiaries and professional advisors. More than 15% of US wealth is held in the form of IRAs. Michael Jones, a nationally known tax expert, provides sophisticated, yet practical and understandable guidance all heirs must have to protect themselves and maximize the economic benefits from this valuable inherited asset. While most guides focus on those setting up IRAs, this book hones in on what those inheriting these assets must know. 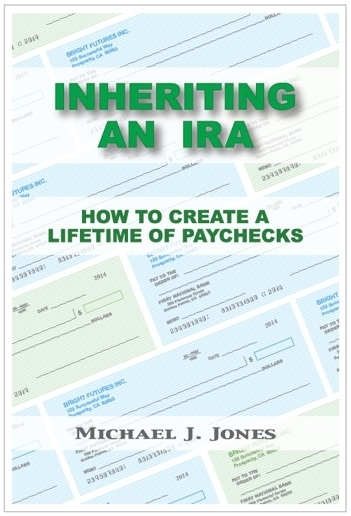 If you have inherited an IRA or expect to, read this book before you touch that account. Mike Jones will save you a lot of money and headaches!